Situated in the 24-hour security-manned Baronetcy Estate high on the Tygerberg Hills, this extensive four bedroom home includes four luxurious en-suite bedrooms and exceptional open plan indoor/outdoor entertainment facilities. Priced at R18.3 million through Pam Golding Properties the property includes staff accommodation. Ideally situated in Cape Town’s hugely popular Northern Suburbs, the adjacent suburbs of Plattekloof and Panorama share more than alliteration. The main attractions of both suburbs are their prime location close to the N1 to Cape Town and sweeping views right across to Table Mountain. Pierre Nel, Pam Golding Properties area principal, says an interesting fact perhaps not commonly known is that apparently the names of Panorama and Plattekloof were ‘transposed’. “We’re not sure how this occurred, but originally and with its very elevated position and panoramic views, Plattekloof was intended to be called Panorama”. Restaurants are a few minutes away on the Durbanville wine route, with the popular local Greens and De Grendel, Plattekloof Village Shopping Centre and the Spar centre, as well as Panorama’s Pick n Pay shopping centre convenient for both suburbs. Also within easy reach is Cape Town International Airport and the world-renowned Cape Winelands Route. The sprawling suburb of Plattekloof includes Plattekloof 1, 2, 3, and the sought after security estates situated in Plattekloof 4: Baronetcy Estate, Leopard Rock Estate, Kleinmeer Estate, La Vie, as well as complexes – Villa Caponero, Little Rock, Silwerkloof and Plattekloof Gate. The area incorporates homes across a broad cross range, catering for a variety of home buyers and their requirements. Freestanding homes average above the R5 million mark in Plattekloof, with the entry level price of homes in upmarket Baronetcy Estate currently around R 8.5 million. The highest listing in the Plattekloof area at the moment is R35 million which is situated within this estate, where some of the very latest, architect-designed homes are being built. Nel says this area will be home to some of Cape Town’s most modern master pieces and world class designs. Smaller properties in complexes in Plattekloof comprise mainly two bedrooms or three bedrooms that average from about 143sqm to 240sqm in size and start at R 2.7 million with prices in the smaller complexes currently ranging up to R4.8 million. Says Nel: “There are, however high end investments taking place in the area with newly built properties which far exceed R35 million rand, and ceiling prices in the area will certainly increase in the near future”. “Most buyers are corporate professionals and executives with families. 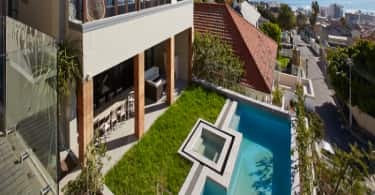 The smaller complexes attract many younger couples and smaller families, or people who tend to scale down and want to continue living within the area”. “The fact is Plattekloof is perfect for family living. People who want to escape a busy city lifestyle are mostly attracted to this area due to its scenery, views, tranquillity and modern, spacious homes. With its easy access and the city lights captured within the spectacular view, it feels as if you are still in the city”. “Not surprisingly, the property market is doing phenomenally well. Spectacular new homes complete with the latest ‘green’ features are rising out of the ground while older homes are being renovated. Security estates as always are exceptionally high in demand, however the entire Plattekloof area in general is highly sought after among home buyers. As a result the price of vacant land has increased and prime plots sell far above the R4 million mark. Notable sales include a 1033sqm piece of vacant land sold by us in February this year (2017) for R4.35 million, the highest price achieved for vacant land in Plattekloof, exceeding the previous highest price of R4 million”. Panorama on the other hand, which incorporates the suburbs of Kaapzicht, Sonnedal and De Duin, offers some of the best medical facilities in Cape Town. Apart from Panorama Mediclinic, the recently completed Panorama Healthcare Centre has already become an iconic landmark and highly accessible key facility for local residents and visitors in an area which has rapidly emerged as a burgeoning medical node, attracting a host of related services and businesses. Panorama Primary is one of the top primary schools in the Western Cape, while other high schools are close by in the surrounding suburbs, including private schools. Residential property in Panorama varies from apartments priced from R750 000 for a very small one bedroom apartment through to R 1.3 million. Most properties are spacious and have four to five bedrooms. Price-wise most residential homes can range anywhere between R2.5 million and R5.8 million, depending on size, if the property is renovated, and according to the specifications. Says Nel: “The most popular price range of homes is in the price band between R2.5 million and R3.8 million. We recently sold an amazing home for R3.85 million in the heart of Panorama”. “Panorama is truly an amazing location, quiet and well suited to quality family living. For most people working in town or in Century City business hubs the location offers easy access and the surrounding areas all combined create an excellent suburb. People move into the area and stay. Many make improvements to upgrade their properties and cater for their changing and growing family needs. If people do sell, they tend to purchase again in Panorama or move up the hill in Plattekloof”. “A variety of home buyers acquire property in Panorama, however these are mostly families, looking for space and good value for money. We also find the area is popular because of its ease of access for commuters, and it also has good train and bus routes and access points”. 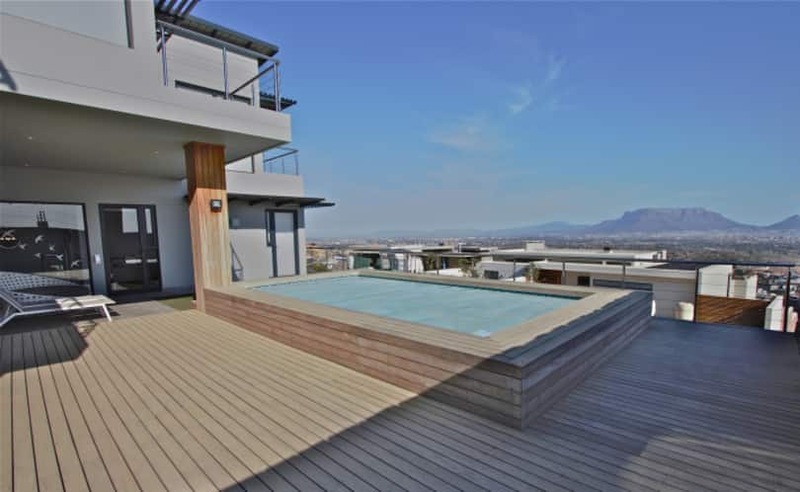 “Interestingly, we also find a high demand from interested of buyers relocating from the Southern Suburbs of Cape Town. Panorama is extremely popular as a permanent residential destination and show days are always active. We find a lot of interest and people tend to look at a property that is ready to simply move in. We also have an overwhelming amount of buyers just looking to get into the market in Panorama – to get their foot in the door, and they are on the lookout for a fixer-upper to make their home”. “This is a sought after area with excellent value, particularly if you compare properties to the current available properties in other desirable areas such as Southern Suburbs. Panorama and the bordering areas of Welgelegen, Monte Vista and Edgemead are perfect for family living and easy access,” adds Nel.